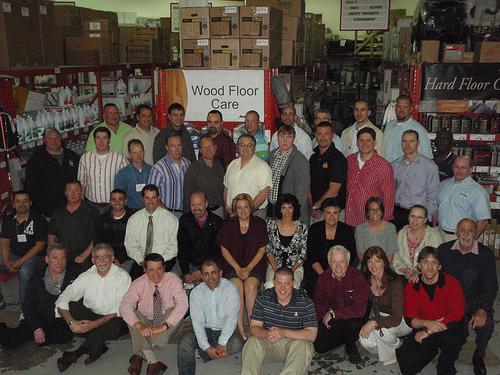 Check out these photos and reviews from the first ever Strategies for Success class to be held at Jon-Don in Salem, NH. Frank Kuse and company were excellent hosts to the benefit of the instructors and students alike. And everyone felt right at home with the good food and good times served by the inimitable “Papa Nick”. The following is a selection of class reviews. Go to the seminar to create your company infrastructure. Management by chaos does not work. Nick and Angela are extraordinary people. This class was a real eye opener. I wish I had this information when I first started. The experienced industry veteran instructors helped a lot. Go to SFS if you want a career and not just a job. Steve’s expertise is second to none. SFS in my mind is equal to an electrician or plumber course that they have to take to get a license. If you’re in the cleaning industry you shouldn’t even attempt to do business until you take the SFS course. Some people like the “school of hard knocks” but c’mon missing this course and operating your business is like walking on hot coals with broken shards of glass spread out in bare feet after a massage!!! Really foolish. Thanks Jon-Don! Guaranteed! If you employ the strategies learned, you and your company can thrive and progress to the next level. The Financials/Profit section was extremely valuable. I never really knew how to calculate truck, machine and employee costs. The web section on Tuesday was very insightful. This is the present and future of marketing. Bill was great; very knowledgeable and honest about opinions. I would recommend this class to those that are serious about taking their companies to the next level. To them I would say- Do it for the comprehensive material provided and presented by the “Three Amigos” and for the loving hospitality by Nick, Angela and staff. It is all encompassing and focuses on details which are what separates us from other cleaners. Yes, it’s a lot of information and may take some time to implement but Rome wasn’t built overnight either. Go to this class for the business skills you’ll gain from the knowledgeable Instructors and the generosity of Jon-Don. Steve’s Value Added Service concepts will be the building block for my business’ future. I felt very comfortable these 5 days at Jon-Don’s store. The Value Added Service concepts I learned will have an immediate impact next week. I will be implementing a lot of changes. You normally get tired in classes that run from 7 – 5:30 but I never felt like napping or got the “tired eyes”. And I worked every night after class! “Carefully Clean” technicians create Cheerleaders!